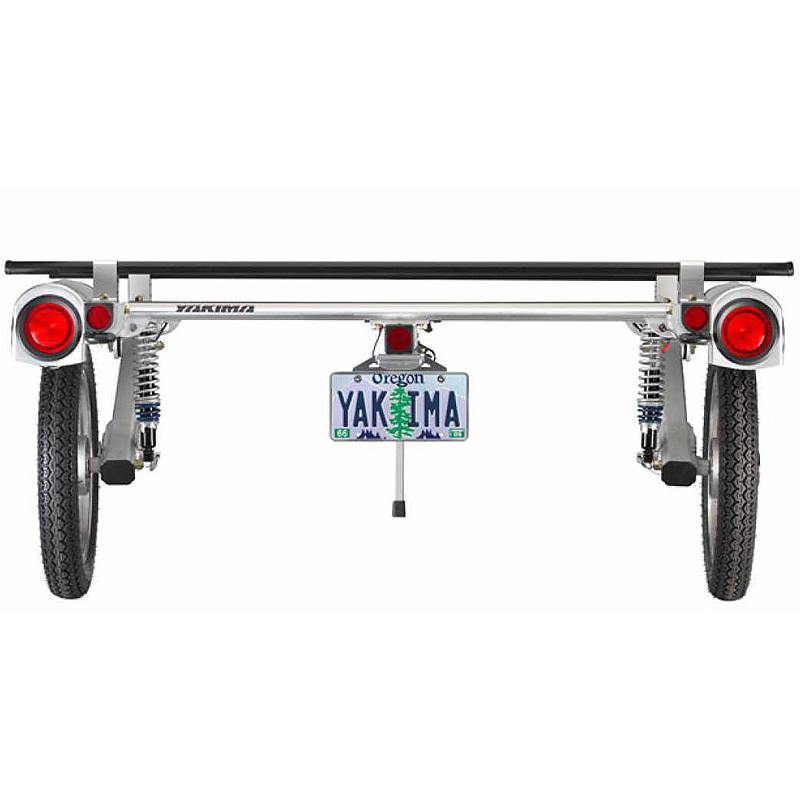 Yakima 8008106 Rack and Roll Personal Gear Trailer is lightweight, anodized aluminum, elegant and the most convenient way to carry your big sporting gear. 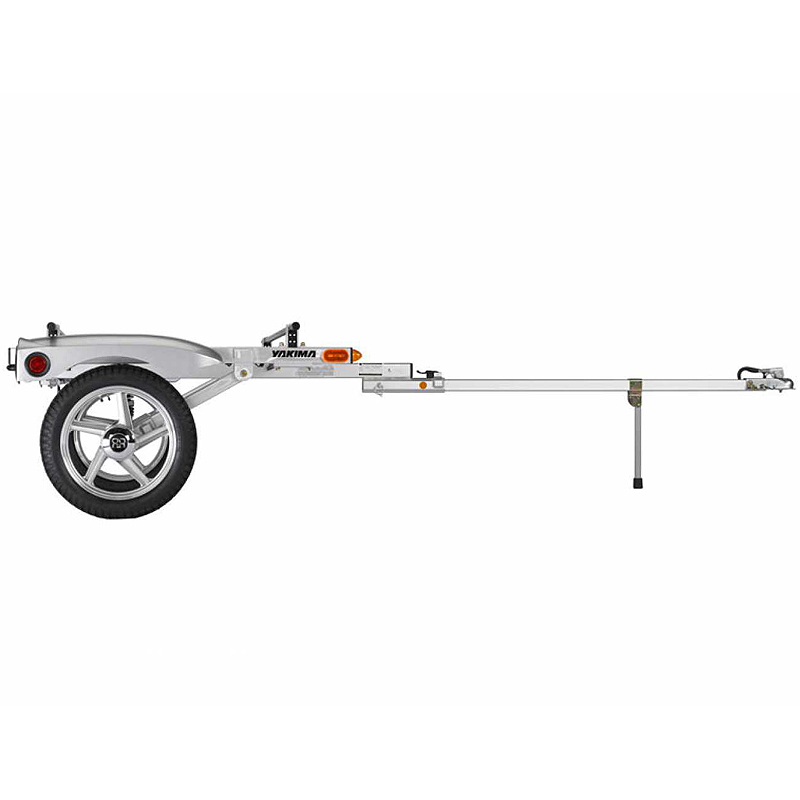 This 66" wide high-performance Rack and Roll Sport Trailer takes style and performance to a whole new level. Its sleek profile will look classy behind any vehicle. The Rack and Roll is changing the way outdoor gear is carried and comes equipped with 66" Yakima Round Bars. 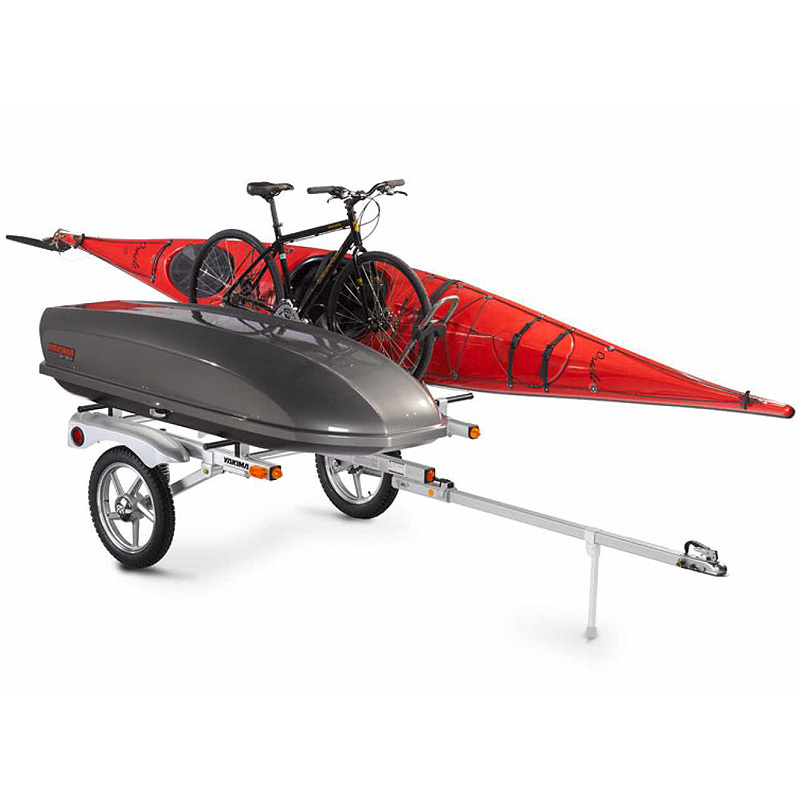 Haul long, bulky gear including kayaks, canoes, windsurfers, sailboats, cargo boxes, bicycles, and more. 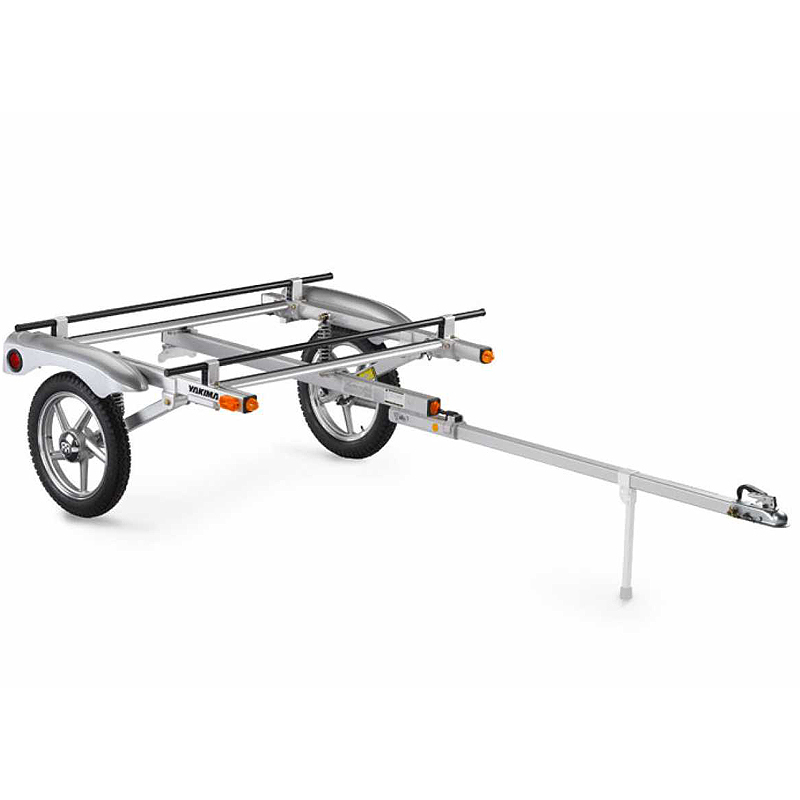 Unlike a roof rack, the Rack and Roll trailer is easily accessible for simple loading and unloading. 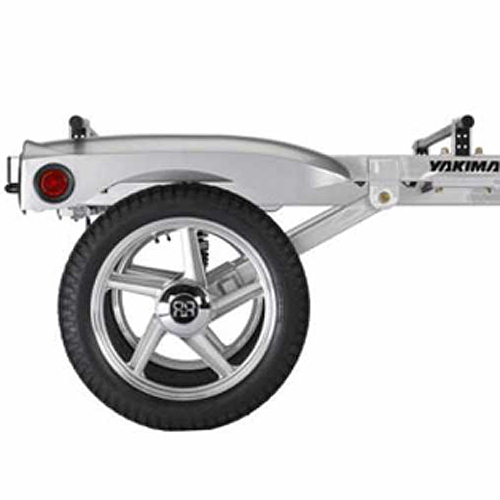 With the Yakima Rack and Roll Trailer, your gear is always visible. Consequently, you'll have the piece-of-mind that your gear is always secure and safe while driving. 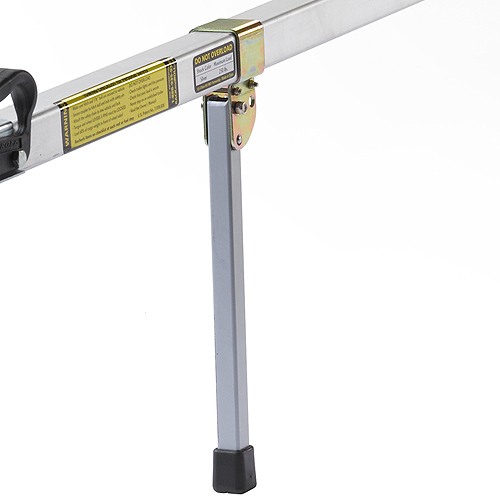 The wheels and tongue of the Rack and Roll Trailer can be easily removed in seconds so that the trailer may be stored upright against your garage wall or in the rafters. 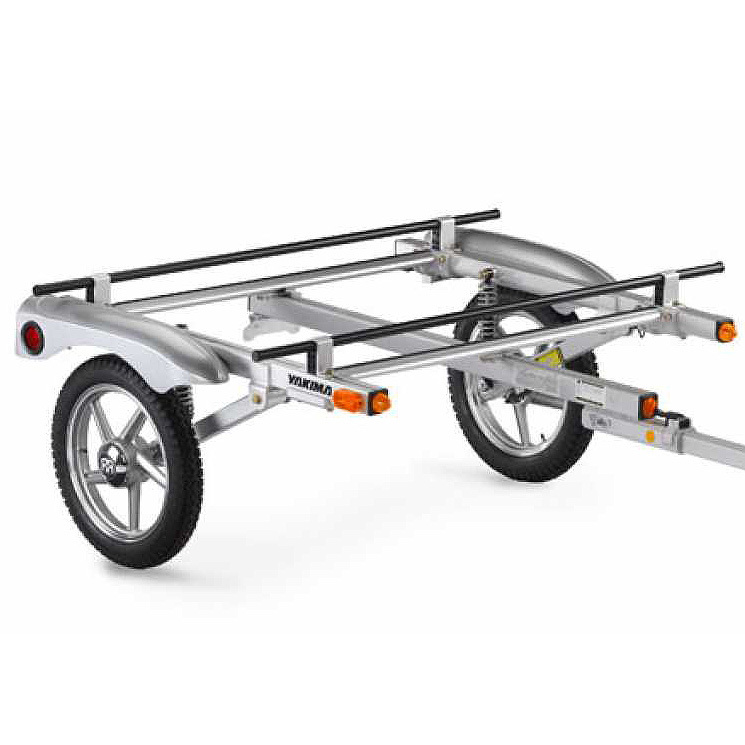 Rack and Roll trailers come standard with 5-spoke wheels and hubcaps. Built-in key locks prevent theft of the wheels. Locks and Keys are included. 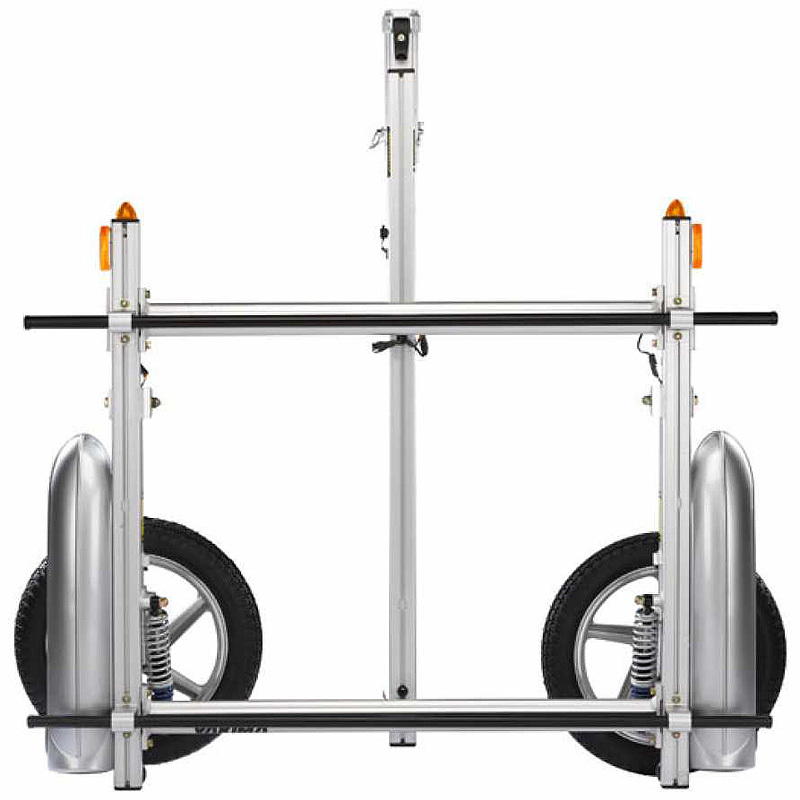 The Rack and Roll Trailer's carrying handle turns your lightweight trailer into a hand cart. 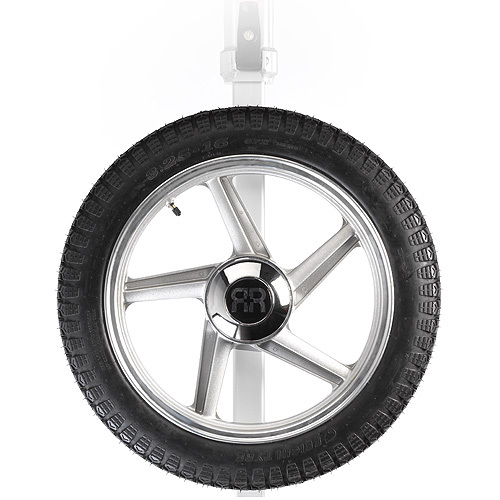 Although several Rack and Roll Trailer accessories and upgrades are available, please consider a Rack and Roll Standard 5-Spoke Spare Tire for your safety and convenience (sold separately - see below). Construction: Anodized Aluminum - 6063. Fenders: Polypropylene, silver automotive finish. Frame Weight: 83 pounds with wheels and tongue removed. Security Systems: Built-in key locks prevent theft of wheels. 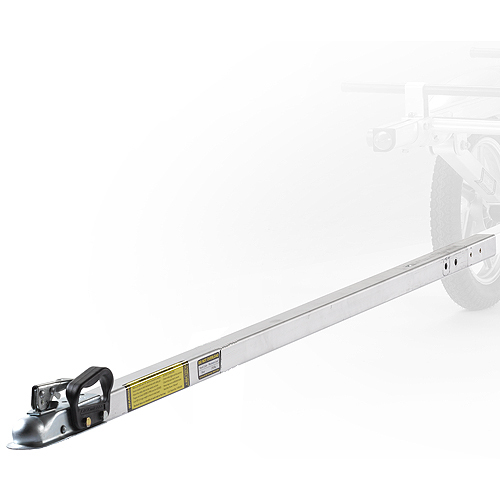 Attachment Systems: One pair of Yakima Round Bars come with your trailer and are compatible with all Yakima roof rack system products. Suspension System: Fully independent trailing link swing arm design, oversize 16 inch 5-spoke alloy wheels, over 100mm (4 inch) of wheel travel, maintenance-free swing arm bushings, heavy duty shocks optional. Shock Absorbers: Motorcycle style, coil-over, dual spring/progressive-rate provide four inches of wheel travel, cushioning your gear. Road Clearance: 22 inches under frame, 15 inches under license plate. Wheels: Oversize 16 inch 5-Spoke Aluminum Alloy, sealed, maintenance-free bearings, chromed hubcaps. Tires: 3.25 - 16, 4-ply rating, load range B, with tube. Hitch: Works with Class I, II & III hitches when a 2" or 1 7/8" sized ball is attached. Ideal ball size is 2 inch. Ideal height from top of ball to ground: 22 inches. Lighting System: Standard flat 4 light connector to vehicle. Comes with LED trailer lights. Safety Features: DOT approved. Conforms to all applicable Federal Motor Safety Standards at time of manufacture. 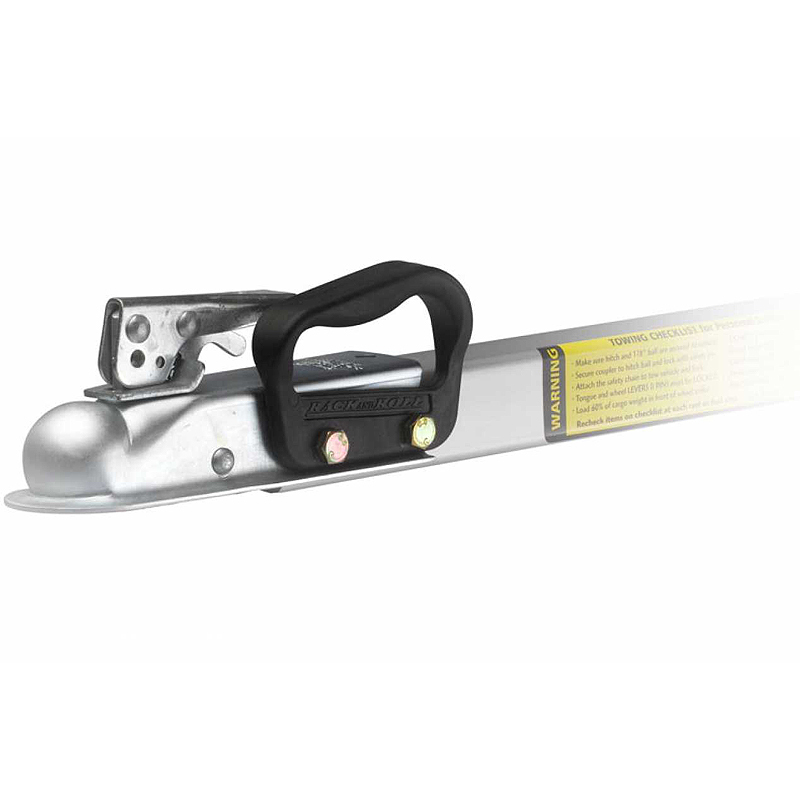 Safety chain with locking link, consumer information labels. High performance suspension gives superior road handling. 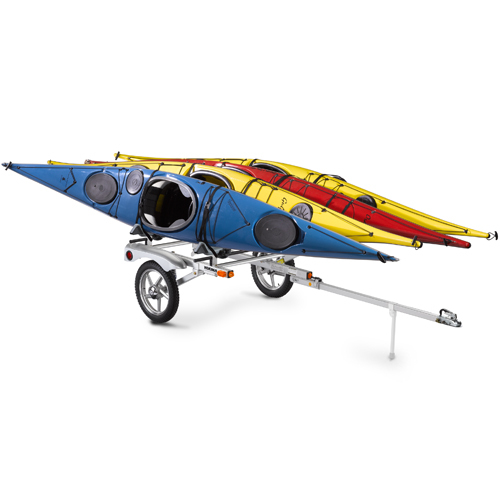 Maximum Boat Lengths: Standard Tongue - one 17 foot kayak centered on trailer, 22 foot boat with optional Tongue Extension Kit (sold separately - see below). 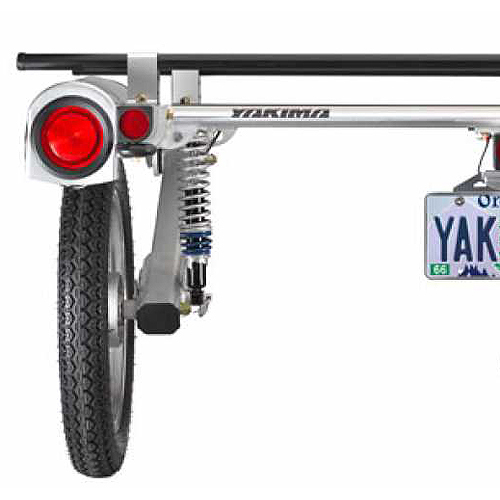 "I will keep this short and echo the sentiments of those who are thoroughly satisfied with their Yakima trailer. In other words, I would HIGHLY RECOMMEND it! The assembly was easy (it took me about 2-3 hours to do it alone); the performance is better than I had expected (we even drove on a rough road and it handled extremely well); and we are more than happy that it fits our two 12' Wilderness kayaks and two Trek bicycles PERFECTLY. I should add that the two trips we've taken it on most everyone that passed by while we were loading or unloading stopped by to say how much they admired it. They also asked a few questions and I was able to "sing its praises." I suspect Yakima will be selling more of these in our "neck of the woods," which is West Central Minnesota.